It’s been a long time – again. It’s been a difficult time – once more. In spite of the above observations the sun is coming out more often, the spring showers are a blessing, the almond trees are blossoming, the bitter orange trees that line miles of Greek streets present their first scented blooms and “Clean Monday” is round the corner (March 18). I am not very keen on anniversaries and Saints’days as such but this particular feast, combining the ancient with the modern traditions, is to say the least, intriguing. Clean Monday is the day Greeks have picnics, fly kites, renew their contact with nature. 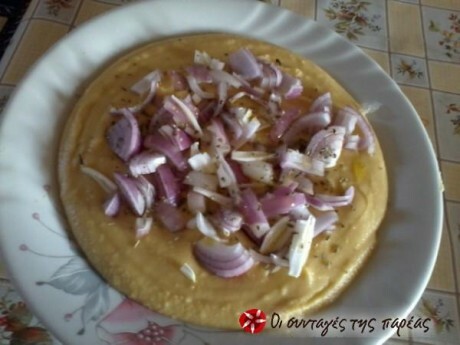 According to the Greek Orthodox Church it is also the first day of the Easter 40 day lent period and has its own “menu”. The consumerism prevalent in the last two decades has intruded here as well but in a subdued way. We eat dolmadakia – vine leaves stuffed with rice and aromatic herbs, spinach pie (no cheese please) where the spinach is “reenforced” with all types of other greens, from leeks and spring onions to myronia and kafkalithres, gathered on the mountains if you are lucky enough to find them. There is no main course really but it is the day for prawns, calamari, octapus, ink fish etc cooked in innumerable ways ( stuffed calamari, octapus with wine or small onions, inkfish with spinach, prawn risotto, and so on) according to your plans for the day. My favorite is fava – a creamy dip of mashed chickpeas served with onions, parsley sprigs and capers. The PASOK Congress is over amid doubts and questions. 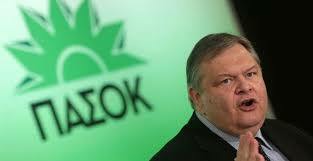 Mr. Venizelos and his leading group claim that this is a new start for PASOK. The youth organisation managed to impose its demand that no government appointed officials could be elected to the Central Committee. 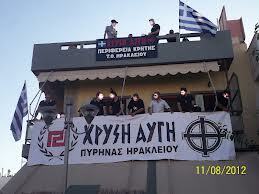 Golden Dawn extreme right wing party has announced its intention to create nursery schools “for Greeks only”. During an open rally Golden Dawn members of Parliament accused Greek teachers of teaching “communist” doctrines to the children. The resemblance to the apartheid tactics is more than obvious and causes concern in many circles. Church dignitaries have reacted calling the racist party a danger for society. On my Saturday stroll in Syntagma Square I had a pleasant surprise. 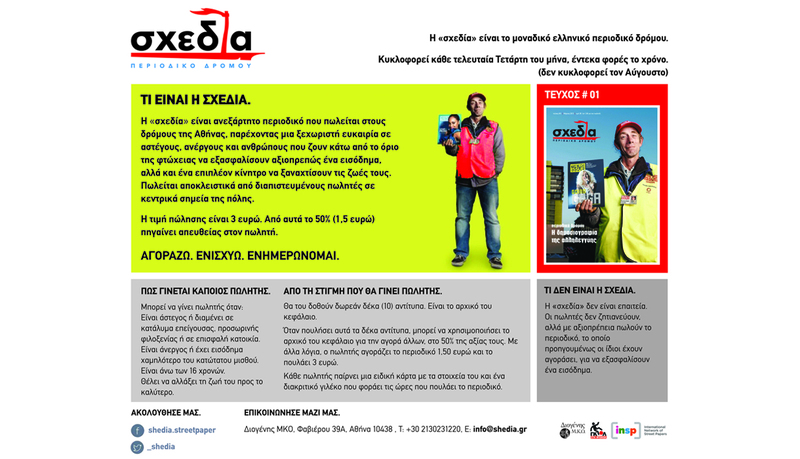 A middle aged man standing shyly on the pavement was selling Shedia (the accent on the “I”- meaning raft in Greek). I stopped, said hello and bought one. His hand was shaking as he gave me the change and the hand written receipt. I wish I had more courage to stay and chat but confess I did not. I wanted to tell him that his presence and his paper were a ray of sunshine in this dark period. Unemployed men and women face not only h financial difficulties but social and psychological dangers too. People used to a working life routine have to find something to fill up their days, give a purpose to their lives and contribute to the upkeep of their households. Shedia belongs to the growing family of street papers (122 publications in 40 countries) and I am quoting and translating from Mr. Christos Alefantis article in the first issue: “the aim is to give to our fellow men and women experiencing poverty and social marginalization the ability not only to earn some income but to keep their hopes up for a better future, keeping them within what we call “organized society”. Reading the magazine I found the content of high quality and not at all miserable, realistic but witty, informative and pleasant. The operational method is explained clearly: from the 3 Euros one pays for the paper the seller gets half. He/she is given the first ten for free so he can start off. From then on one develops his own talents and earns according to his/her selling abilities. Shedia is an initiative that deserves the title of “solidarity” and not charity. 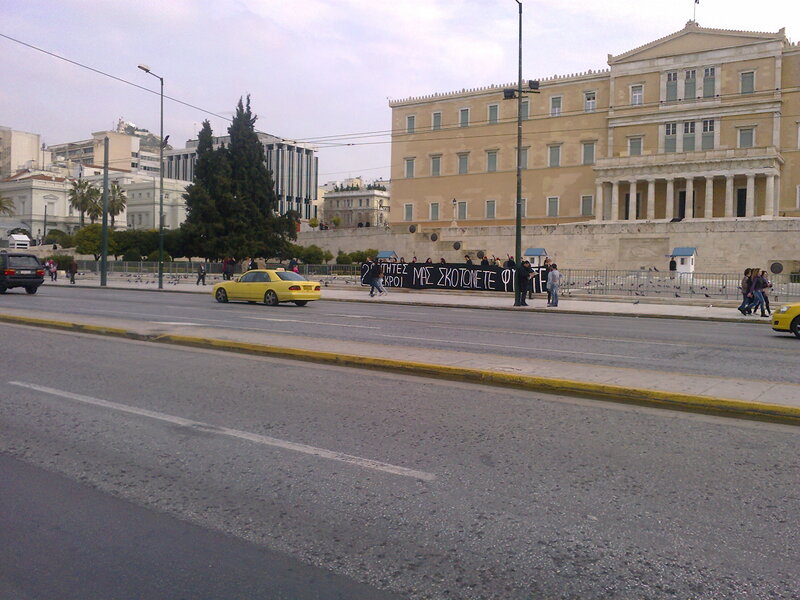 Demonstration in front of the Greek Parliament. The post mortem examination of the two Greek college students who were found dead in Larissa yesterday revealed that their death was due to inhalation of carbon monoxide. According to their landlady, who spoke to Antenna tv station, they had told her that they could not afford heating oil and would try to find other means to warm their apartment. The make shift “heater” is the cause of this tragedy. The other three students are still in a critical condition and the people of Larissa are still shocked. The incident fuelled the anger of the people against the government which has stolidly refused to reduce the price of heating oil in spite of the bad weather and of course financial condition of most households. Demonstrations were organized by students’associations in many Greek towns. According to TVXS the Athens Medical Association has called on Mr. John Stournaras, Finance Minister, to change his politics which has turned heating to a luxury item. “Cheap” solutions cost dear in human lives. SYRIZA, Coalition of Radical Left, has issued a statement claiming that they had issued warnings to the government about the repercussions of expensive electricity and heating oil which not only ignored them but also accused the left wing opposition party of being populist. The Communist Party of Greece (KKE) and the Independent Greeks party also accuse the government of being blind to the needs of Greek society and servile towards its lenders. The beginning of spring was marred today by the news of the death of two college students in Larissa. The group of five college students had lit up a make shift barbeque in the yard and moved it into their flat to keep themselves warm. A fellow student found them in a comatose state. Two were already dead and another three are hospitalized in critical condition. The citizens of Larisa demonstrated in the streets together with students and lit candles in front of the students’ house. One of the slogans was “this is not a tragedy – it’s murder” because one of the central problems faced in Greece is the price of heating oil. Students living away from home suffer the results of the financial crisis manifold.